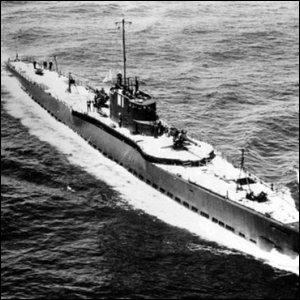 In World War II, A Nazi Submarine Was Accidentally Sunk By? Throughout The City Of Los Angeles, Hollow Shell Buildings Conceal What? It’s such an absurd situation that it would be very easy to dismiss “Nazis can’t flush toilet right, sink ship” as some quality World War II headline propaganda—except that it’s not just a barracks joke from yesteryear. It actually happened. To understand how it happened, however, we need to take a brief little stroll through the history of early 20th century submersible warfare. Plumbing aboard Allied submarines was a pretty simple affair. All waste was stored on the submarine in an on-board septic tank which was purged when the submarine was not under way. German submarines, in a bid to save precious weight and space, didn’t have large on-board tanks, but would rise to a shallow depth and purge their waste periodically. Continued advancements in Allied anti-submarine technology made it increasingly dangerous to come up from the depths to purge the tanks though, so the Germans continued to engineer (and ultimately over-engineer) high-pressure toilets that could be purged at much deeper depths. The only problem was that the toilets were far too complicated, with a series of chambers and a pressurized airlock connected to the toilet that needed to be opened and closed in a precise fashion (so precise, in fact, that a member of each crew was specifically trained for the procedure). You can see where our story (and fate) is going with this. In 1945, an overconfident German submarine captain, Karl-Adolf Schlitt, decided that he could figure out the complicated toilet himself. But even after enlisting the help of one of the submarine’s engineers, things quickly spiraled out of control. One unlucky turn of the wrong valve unleashed a flood of sewage and sea water into the bathroom, which quickly filled the compartment and began streaming down onto the submarine’s giant internal batteries (located directly beneath the bathroom). The contact between the flood water and the batteries started a chemical reaction that began filling the submarine with chlorine gas. Schlitt frantically ordered the submarine to the surface where things got even worse. They were quickly discovered by British fighter planes and naval patrols, took damage from an air attack, and finally decided the only option was to scuttle the submarine.